Our global supply chain spans approximately 50 countries and thousands of contract suppliers. To ensure our products are made with responsibly sourced materials, we are enhancing our ability to trace where they originated. VF’s traceability initiatives intend to provide visibility into some of our most pressing supply chain issues and risks. From human rights violations in supplier factories to deforestation, we partner with our suppliers to bring best practices to their businesses and help prevent any occurrence of activities that go against our high ethical and environmental standards. Look at how our materials flow throughout our supply chain for nine iconic products. VF is one of the world's largest cotton users. Where and how this cotton is grown is of the utmost concern for us. For example, cotton grown in Uzbekistan and Turkmenistan may contribute to the practice of forced and/or child labor. Cotton grown in Syria may be used to fund militant groups. VF’s Cotton Sourcing Policy prohibits suppliers from using cotton grown in these three countries. 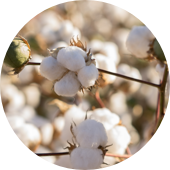 We also closely monitor and trace cotton used in our products manufactured in Turkey, China and Bangladesh, as these countries are the main destinations for cotton grown in Uzbekistan, Turkmenistan and Syria. 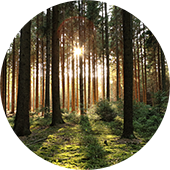 Our Forest Derived Materials (FDM) policy prohibits the sourcing of materials that contribute to deforestation, loss of biodiversity or loss of indigenous peoples’ rights. In early 2017, we launched our FDM across our supply chain to require clear documentation of material origin for all directly and indirectly sourced materials. In Brazil, for instance, we screen our leather suppliers, tanneries and footwear manufacturers to confirm our leather does not contribute to deforestation in the Amazon Biome. VF prohibits the use of any Animal Derived Materials (ADM) that require the slaughter of animals specifically for use in our products. We permit the use of ADMs only when the material is a byproduct of another industry, such as the food industry. 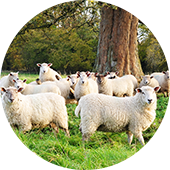 Our ADM policy outlines our commitment to source materials only from suppliers that treat animals ethically and humanely. This policy applies to all VF brands, coalitions and supply chain partners involved in the procurement, sourcing and manufacture of any products on behalf of our brands. 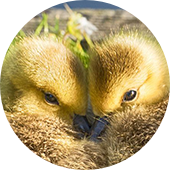 Our goal is to source 100 percent of our goose down in accordance with the Responsible Down Standard (RDS) by the end of 2019. VF's The North Face® and Timberland® brands have already achieved 100 percent compliance with RDS for their product lines, while our Napapijri® brand has eliminated down from its portfolio of products. Developed by The North Face® brand in collaboration with Textile Exchange and Control Union Certifications, RDS tracks the down used in our products, and validates and certifies that it comes from responsibly sourced farms that do not subject animals to any unnecessary harm such as force-feeding or live-plucking. Read about how our journey started with RDS. 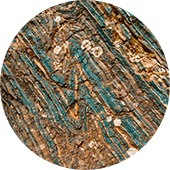 In line with the U.S. Securities and Exchange Commission (SEC) rule on conflict minerals disclosure, we implement Conflict Minerals Reasonable Country of Origin Inquiry (RCOI) and Due Diligence practices to collect information from our suppliers on tin, tantalum, tungsten and gold (3TG) used in our products. Suppliers using any of those four metals are required to identify all smelters supplying the 3TG contained in our products. We rely on third-party certification bodies to ensure metal ore originating in the Democratic Republic of Congo (DRC) or neighboring countries does not contribute to conflict in those countries. Institutionalizing traceability as a best practice within our global supply chain continues. Our strong supplier relationships are key to scaling these efforts. As we expand our traceability goals to increase transparency and focus, we look to leverage technology to enable cost-effective scalability across our complex supply chain.